Ruby B. Delong, 91, of Burtonville, passed away Saturday afternoon, December 1, 2018, at Maysville Nursing and Rehabilitation. Ruby was born May 20, 1927, in Mason County, to the late William and Laddie Reeder Browning. 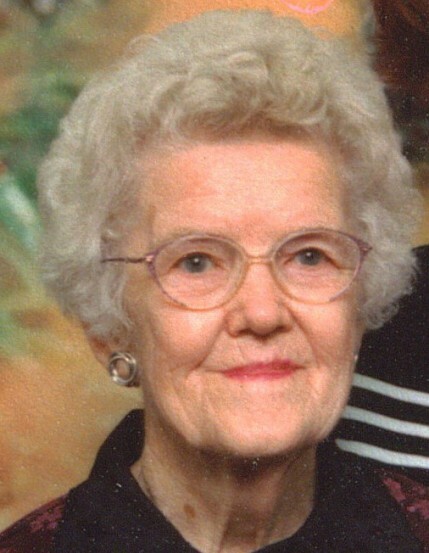 Ruby was a loving mother and grandmother and a longtime member of Pine Valley Christian Church. Ruby was preceded in death by her husbands, Raymond Lawrence Delong and Eugene Curtis Delong; and her siblings, Paul, Howard and Newell Browning and Doris Rigdon. Survivors include her daughter, Connie D. Martin and husband Jerry of Versailles, sons, Raymond Owen Delong and wife Vivian of Frankfort, OH and Johnnie Ray Delong of Lexington; grandchildren, Lisa Osbon, Angela (Mark) Moralez, Jared (Hillary) Martin, Brittany (Brant) Grose and Hunter Delong; great grandchildren, Jace and Declan Martin, Keeley, Delaney and Avery Grose, Cody and Garrett Osbon, Bryan and Caleb Ankrom and Jessica and Roman Moralez; great ,great grandson, Ryder Osbon; siblings ,John T. (Colleen) Browning of Maysville. Funeral services will be at 1 p.m., Wednesday, December 5, 2018, at Boone – Nickell Funeral Home with Bro. Phil Cropper officiating. Visitation will be from 11 a.m., until the time of service at the funeral home on Wednesday. Ruby will be laid to rest in Mt. Carmel Cemetery. Cody Osbon, Garrett Osbon, Jared Martin, Brant Grose, Hunter Delong and Mark Rigdon will serve as pallbearers.